Not gonna lie, when I hear the word "quilted" I immediately think of a throw blanket or a duvet. But, nevertheless, I saw this Tibi quilted sweatshirt and decided to give it a go. The material is thick and stretchy which makes it so comfortable and the zipper detailing and hi-lo cut adds a hint of unique and fun. 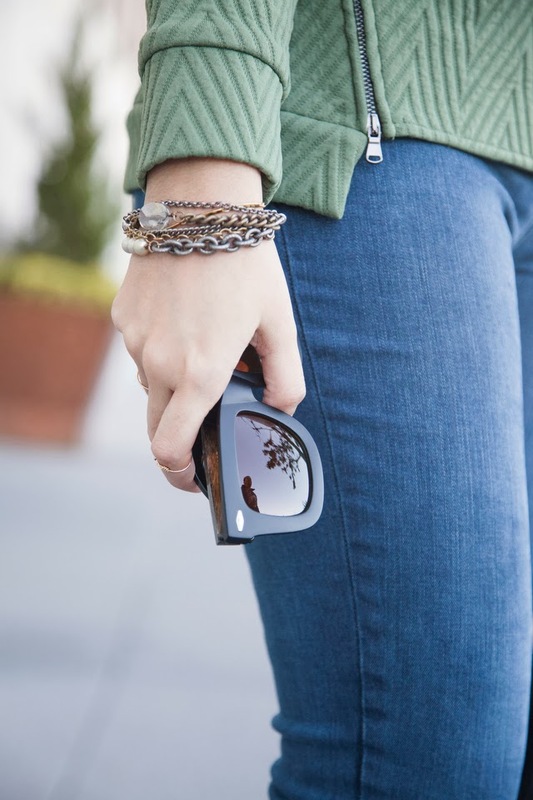 I paired it with skinny jeans because the quilted factor adds a little volume to your upper half and I didn't want to look bulky or big with a pair of boyfriend jeans. 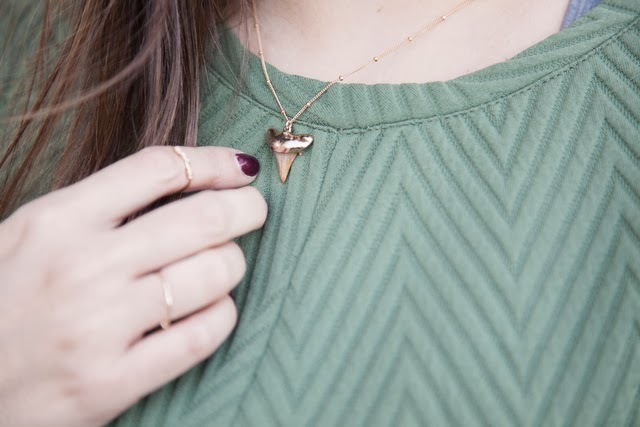 Oh, and of course I wore my favorite mini shark tooth pendant from Gold & Gray. How incredibly adorable is the mini elephant one? Gold & Gray, I heart your pieces. See below for a few other quilted options like this Madewell beauty and this navy blue Topshop number. That looks so comfy and loving the green shade! 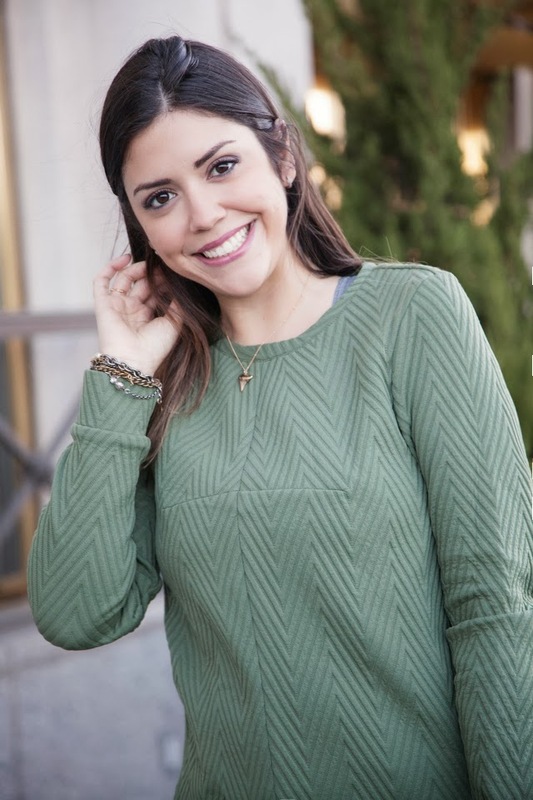 This sweatshirt is super cute–is it a little ombre at the bottom? Either way, you look awesome in it AND it looks cozy. Win win! Umm you look stunning in green! And may I please have your shoes & bag. K, thanks! love the sweatshirt!! very cute and put together. That is one beautiful quilted sweater. I love the color and fit, it looks incredible with jeans. LOVE that sweater!! The color, and just how cozy it looks. And the pendant necklace as well is absolutely adorable!